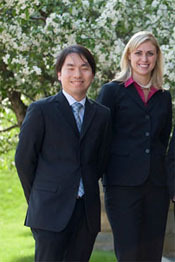 The Carroll School of Management provides graduate management education attuned to the needs of today's business world. Aligned with the philosophy of Boston College, we develop leaders and managers who bring an ethical perspective to business decision making. 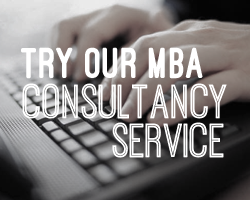 In addition to its 6 degree programs and 8 centers which provide various executive development programming for professionals, the School partners with the business community to provide (student) consulting services in the areas of financial and strategic analysis, product development, and general business planning. Leading successful organizations in the 21st century hinges upon creativity and innovation. No longer is one’s personality or mastering a particular skill in one or two disciplines sufficient ingredients for successful leaders. Rather, the skills, and appetite to synthesize, manipulate, and harness new ideas are the hallmarks of tomorrow’s leaders. At Boston College, we are committed to shaping life-long learning leaders who can discover innovative and ethical solutions to emerging and changing business conditions. Through Carroll's faculty’s commitment to teaching excellence and promoting knowledge creation through research, our students are exposed to a small, student-centered college environment coupled with the resources and opportunities of a national research university. The Carroll School of Management educates graduate students aspiring to greater responsibilities in a complex global economy and practitioners & executives seeking renewed vision and new skills for that economy. Vigorous teaching and learning, and research that advances business theory and enhances management practice are crucial means to these ends.